Audio Sprockets was founded to solve a problem that every acoustic instrument player has on stage—how to get a great sound out of a piezo pickup. Any one who has performed with an instrument mic knows the limitations and constraints, but before ToneDexter it was only a choice between the thin sound of a pickup and the problems and limitations of using a mic. 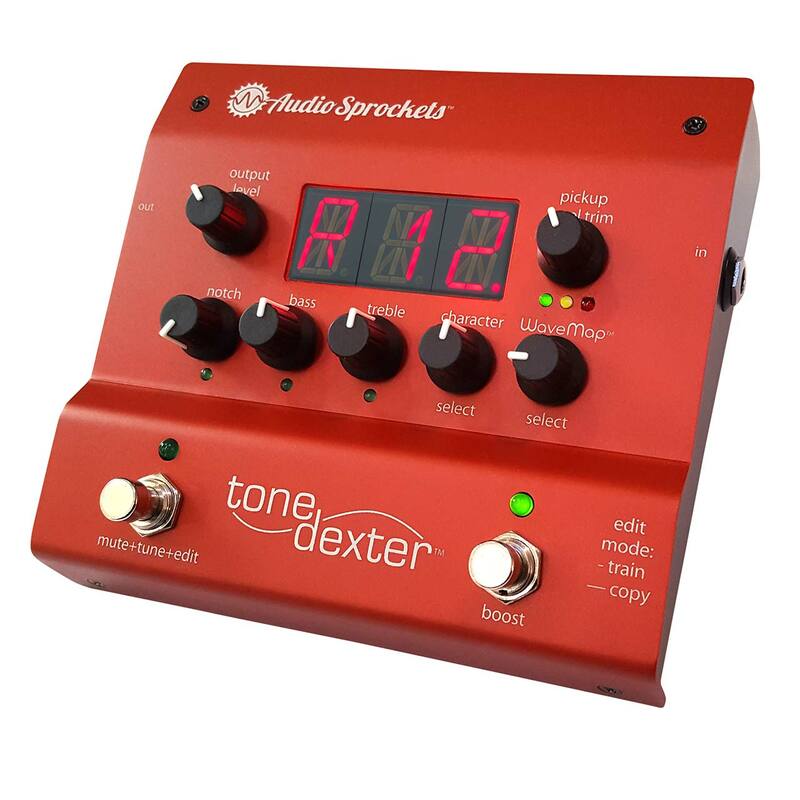 James, Andy and Michael worked hard to engineer a solution and ToneDexter is the result, providing the best possible sound, professional features, ease of use, and maximum affordability. They believe they’ve accomplished their mission, as do scores of professional and amateur users. ToneDexters are shipping and the excitement continues to build! Now, thanks to the Audio Sprockets team, you can have the convenience of a pickup with the rich sound of your studio mic. James May first picked up a guitar in 1964, and a soldering iron shortly after that. A keen interest in both music and electronics led him in several related directions. In the late 1970s he was was a professional guitarist and recording engineer. Since 1983, he has been an electrical engineer in the field of telecommunications, specializing in analog circuit design. He holds 23 patents. An active singer, songwriter and performer, James has loads of fun singing three part harmony in a 60’s and 70’s cover band, and has produced two albums of original music on his own label. His music can be found at www.thatjamesmay.com. Andy Norrell has been active in electronics since 1959, professionally since 1974. He has been an avid guitar player since 1963. He has a B.S. in Physics and an MSEE in signal processing. He has worked in digital signal processing for telecommunications since 1980. He is inventor and co-inventor on numerous patents in this and related fields. For the past several years, he has been working to improve the sound quality of amplified acoustic instruments. Michael Seedman has been an avid Maker and electronic designer since the early 60’s and has built numerous electronic devices over the last 50 years. He started Practical Peripherals in the early ’80’s, served as the Sr. Vice President and General Manager of U.S. Robotics in the 90’s, and has been working in private equity since the early 2000’s. Mr. Seedman has served on both public and private boards and has been an active early stage investor for over 20 years. Andrew Wild has been playing guitar since the age of 14 and his passion for music and technology lead him to a career in the studio business starting with BBC Radio then Virgin Townhouse Studios in London. He moved to Los Angeles with audio console manufacturer Solid State Logic, then worked in various sales and marketing roles for high tech media production equipment manufacturers including Euphonix and Avid (Pro Tools). He now heads a marketing consultation business and is actively involved in the growth and development of Audio Sprockets. Please sign me up for ToneDexter support and news update emails.